Possibility to spend the night at Ulaanbaatar airport (ULN), if open 24 hours. Services available, places to rest (free resting zones), or look for the list of nearby hotels and vip lounges.. It is a small airport with limited facilities. For a better rest, it is recommended to have earplugs, a mask, blankets or a sleeping bag. Where to rest: The Departures area is quieter and you will be able to find plenty of benches with no armrests. Inside the terminal there are also a couple of VIP lounges for those passengers with a bigger budget. 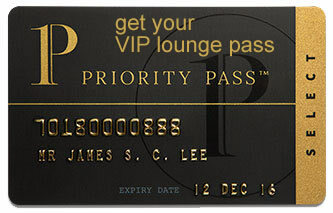 SEE VIP LOUNGES The closest hotels are located inside the city. Baggage: There is a left-luggage service on the first floor. Eating and drinking: Inside the terminal there is only one restaurant, which closes at night. There are no hotels on-site. Some of the closest accommodations are: G Hotel (Tel +976 9910 1878), Corporate Hotel & Resort (Tel +976 7701 5555), Ramada Ulaanbaatar Citycenter (Tel +976 7013 5555), Hawaii Guesthouse (Tel +976 9109 2300), Ibis Styles Ulaanbaatar (Tel +976 7010 0707), Royal Mountain Hotel (Tel +976 7711 9292), UB City Hotel (Tel +976 7013 7778), Zuchi Hotel (Tel +976 7777 7710), Best Western Gobi's Kelso (Tel +976 7736 3636), Naranbulag Hotel (Tel +976 7014 0999).